Vajpayee's Love For Kanpur's "Thaggu Ke Laddoo"
Atal Bihari Vajpayee was a frequent visitor to Kanpur's "Thaggu Ke Laddoo". 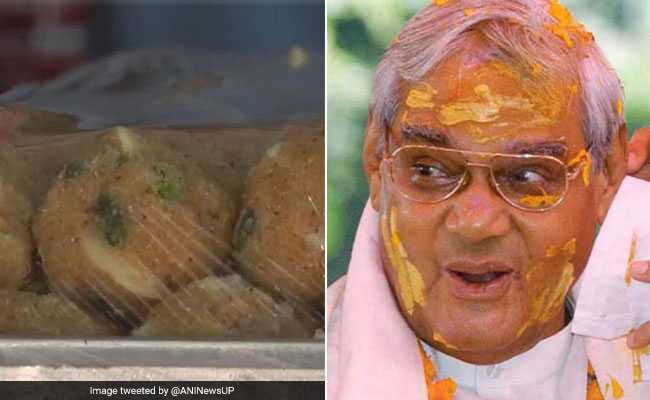 "Thaggu Ke Laddoo" were among the many favourite foods of Atal Bihari Vajpayee. Former Prime Minister Atal Bihari Vajpayee, a foodie, had a weakness for laddoos. No one knows it better than the owner of a sweet shop in Kanpur with an unusual name. Vajpayee was a frequent visitor to "Thaggu Ke Laddoo". The shop owner shared that BJP leaders who knew about the former prime minister's sweet tooth frequently took laddoos from his shop for him. "Whenever BJP leaders in Kanpur went to meet Atal ji, they would get the laddoos packed for us. He loved food," he said. The three-time prime minister died yesterday in Delhi, plunging the nation into mourning. As tributes poured in, close aides and journalists recalled Mr Vajpayee's fondness for food, especially local delicacies. In Kolkata, it was chaat or phuchkas, in Hyderabad it was biriyani and halim and in Lucknow, it was galouti kebabs in Lucknow. He was known to love his annual retreat to the hill resort of Manali, where he relished freshly-caught trout. A close aide said former PM Vajpayee used to pop salted peanuts throughout cabinet meetings and wanted his plate to be replenished regularly. Another aide recalled how despite being unwell, former PM Vajpayee would keep having kaju and samosas. "He wasn't spartan and he didn't pretend to be one. That is why he was so loved," he said.